About Us | Monterey Bay Links Inc. The initial steps to establish a chapter of The Links, Incorporated on the Monterey Peninsula to address the needs of the community started with the vision of Rose C. Beene. She called together thirteen friends and formed an Interest Group. The original fourteen members were Rose C. Beene, Wilma Campbell, Doris Drummond, Jean Drummond, Gwendolyn Laster, Waldene Littleton, Juanda Marshall, Willie Ethel Williams (McCoin), Alice Powell, Altheia S. Powell, Irene T. Reaves, Clarice Beene (Smith), Elizabeth Y. Smith, and Mary L. Story. Meetings were held for approximately one year to secure information and to develop plans for starting a chapter. The Interest Group was operating under the guidance of Link Julia B. Smith, Western Area Director. She provided the proper procedures for establishing a chapter. On Saturday, November 16,1974, the Monterey Bay Chapter of The Links, Incorporated was officially chartered by Link Julia Smith and she was assisted by presidents from the following California Northern Area Chapters: Doris Edwards of Stockton, Mary Alice Handy of Peninsula Chapter, Shirley Matthews of San Francisco Chapter, and Anita McDonald of the Oakland Bay Chapter. The Chartering Ceremony was held at the Travelodge Hotel on Fremont Boulevard in Monterey, California. 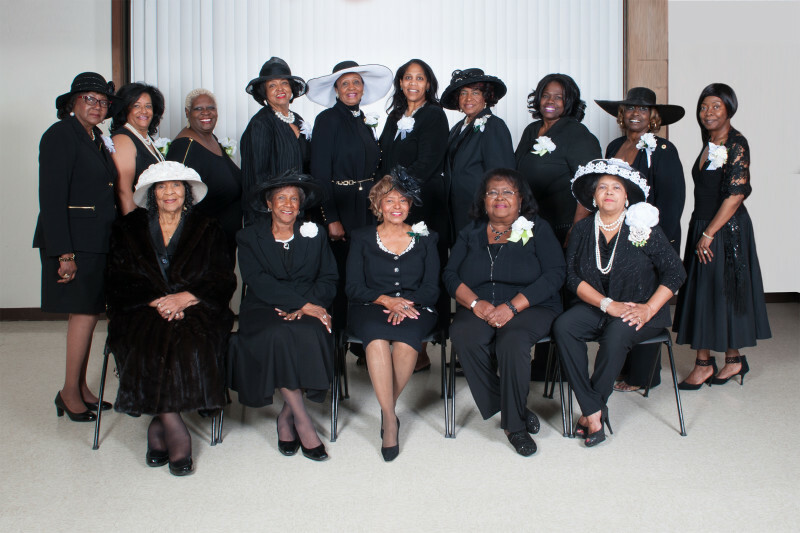 In the presence of family and friends, the original fourteen ladies were installed as charter members of this newly formed chapter. In keeping the shared vision of the founders and the mission of the organization, Monterey Bay Chapter immediately began addressing needs in the community. The Links, Incorporated mission is three-fold purpose to promote civic, educational, and cultural concerns through the five facet program areas: Services to Youth, The Arts, National Trends and Services, International Trends and Services, and Health and Human Services. One of the first projects of the newly formed chapter was “Retooling Women.” This project involved the chapter helping army wives who were stay at home mothers re-enter the workforce. Hundreds of women were trained in interview techniques, dress for success, etc. Since we are a service-oriented organization, we have held numerous projects in the community to name a few: Lazy Eye Movement Test at Oldemeyer Center; “Mathematics is Fun” at Monterey Peninsula College; and in the fall of 1987, we started a very successful “Teen Connection Program” during the presidency of Link Elizabeth Smith. We participated in ”Schools Across The Miles” project with our National Organization building schools in South Africa. Also, the building of water wells in African countries. The Monterey Bay Chapter continues to be a viable entity on the Monterey Peninsula providing friendship and service.